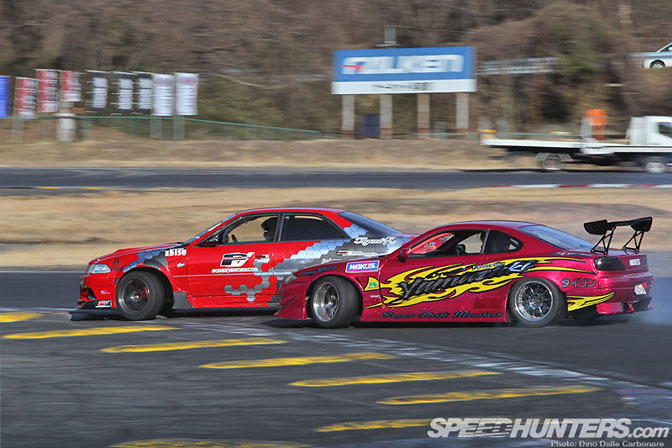 Each of the 46 entrants at the D1 Street Legal East in Nikko this past Sunday got three qualifying runs to show Koguchi, and the rest of the judges, if they were good enough to make it into the top 16. 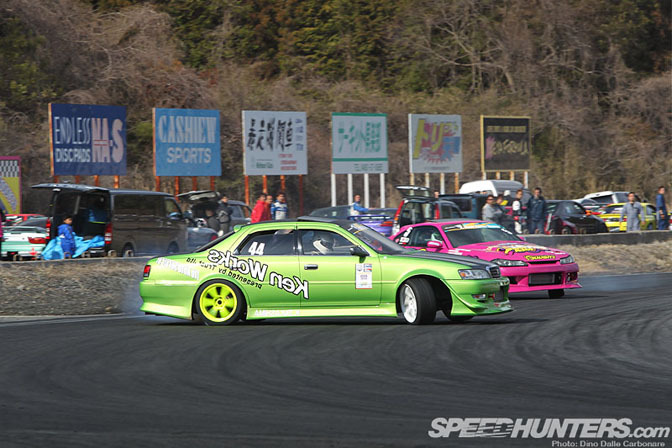 For those that made it through it was a scramble to get ready for the tsuiso rounds that would follow, checking their cars over thoroughly, sticking on a fresh set of rear rubber and patiently waiting for the most exciting part of the day to begin. 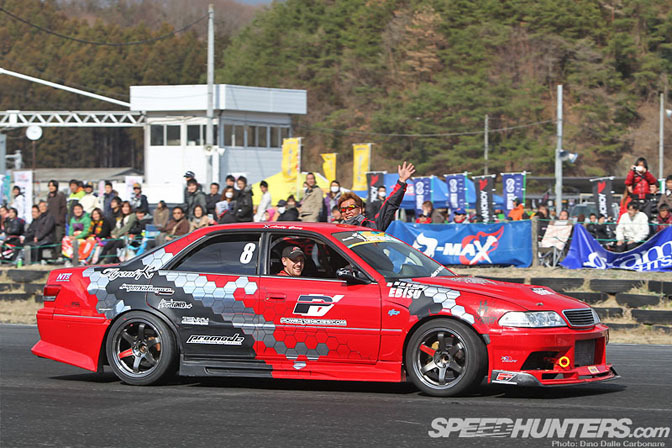 Before getting started each driver is presented to the crowds, here is Andrew Gray driving by the judges as Naoto Suenaga hangs out the passenger side! 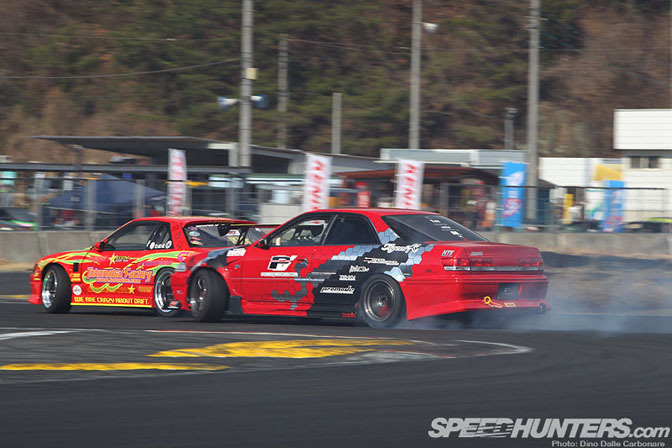 The first battle of the day was between Kenichi Takahashi in the green ken Works JZX100 and Nobuhisa Sone in the Sone Auto S15, respectively the top and last qualifiers in the qualifying runs. 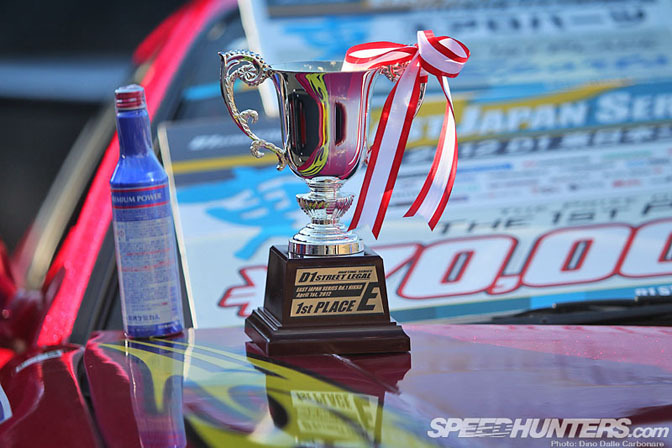 Sone took the win and moved on to the Best 8. 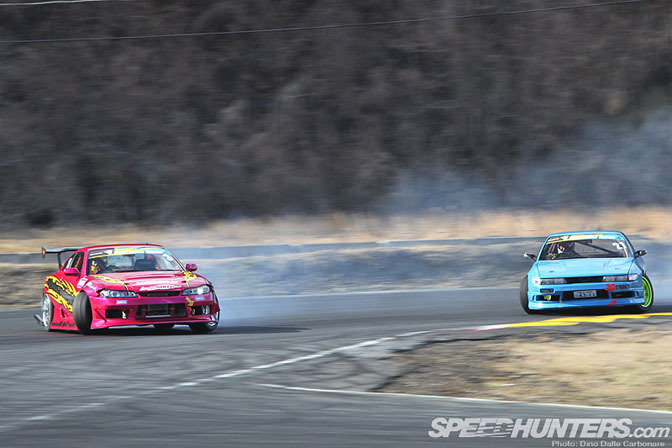 …but stay glued to his rear bumper when chasing for a well deserved win. …but did a good job catching up and in his leading run. 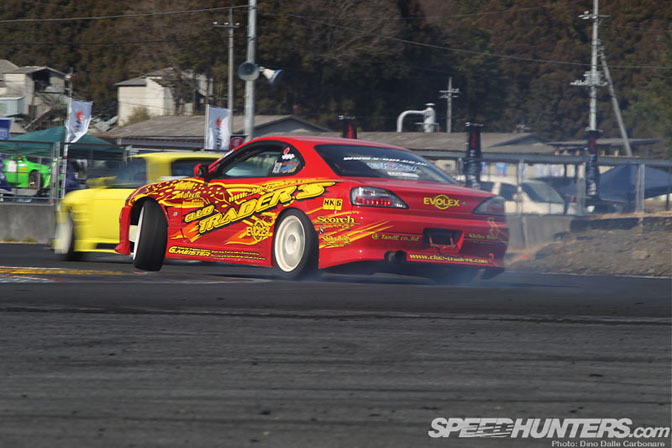 Yuuji Saitou may not have the most powerful car in the D1-SL circuit, but what his 380 HP S15 lacks in outright numbers it makes up in response and agility as he perfectly demonstrated in his Best 16 battle against Hamakawa’s S13. 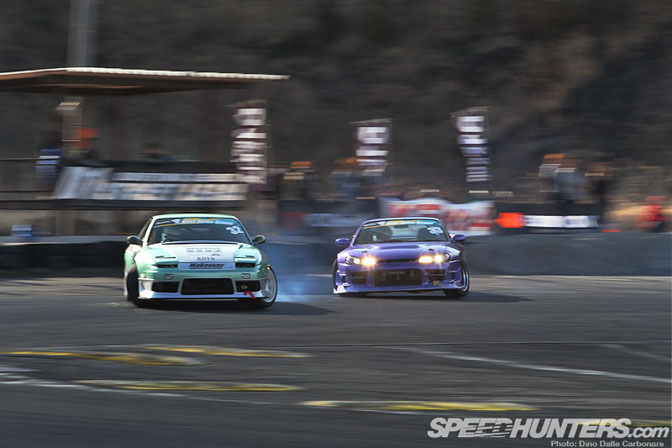 Saitou stormed through to the Best 8 where he beat Kawamura and his PS13 and then took the win in the semi-finals against Kawashima in the Makeover 180SX. …against Ootani in the Semi final. 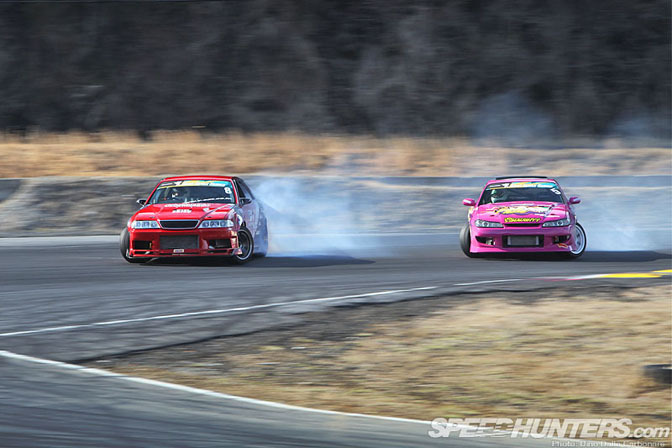 Here he is showing what “close” looks like when chasing your opponent. 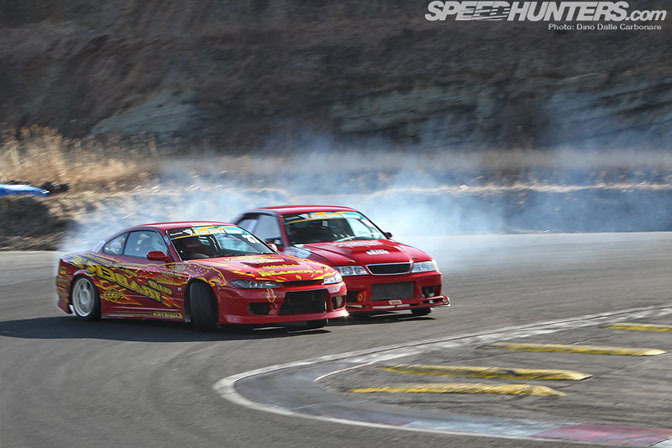 It was then on to last battle of the day, Gray vs Saitou and both of these guys were driving at 110%. The first run was so close that a “one more time” was called. 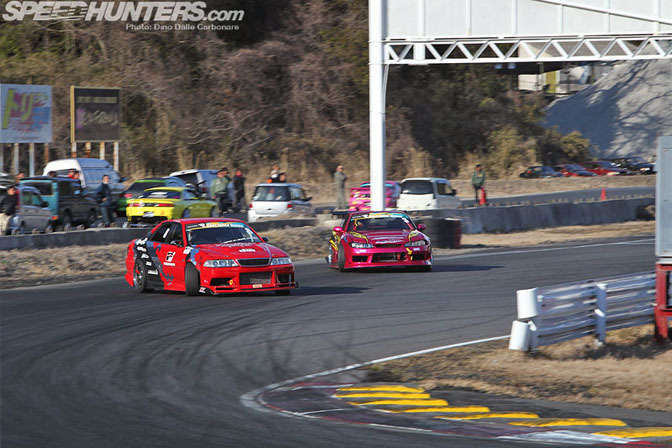 Andy accidentally touched the rear of the S15 as they were building up speed before the first corner entry, not wanting Saitou to get ahead. Saitou wasn’t too happy about the contact and protested to the judges. …allowing him to grab the win. It was a very hard fought final just like the battles you see in D1 Grand Prix so hats off to both drivers. 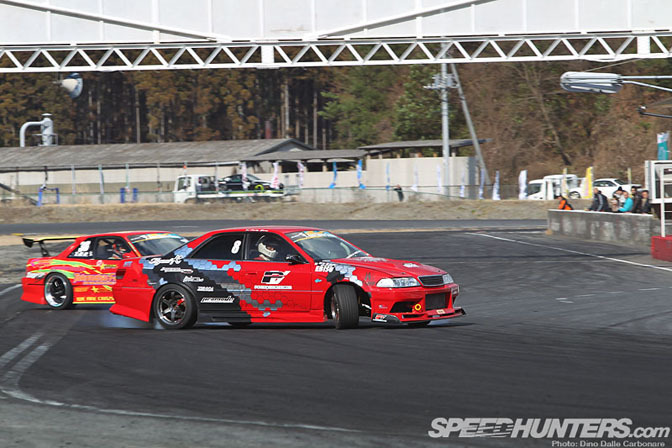 Saitou seemed relieved that the battle was over as he sure had to fight for the win. 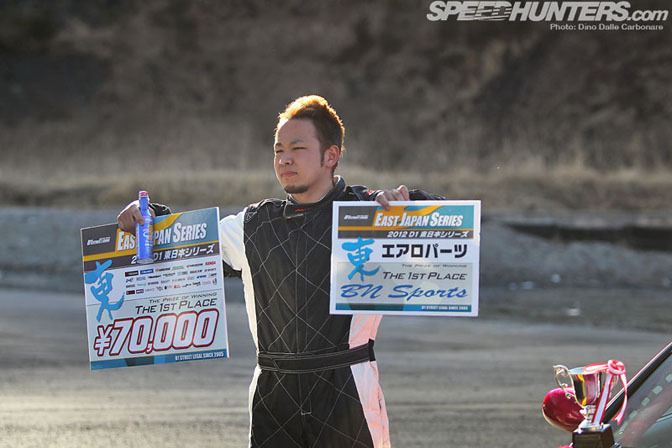 …as well as given the 1st Place prize of ¥70,000 ($845) and some BN Sports aero parts. 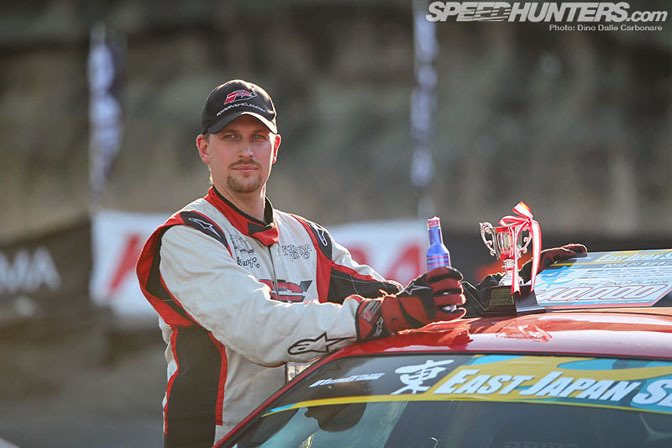 Andy was happy with his second place finish and was already looking forward to the next round in May in his home track of Ebisu. 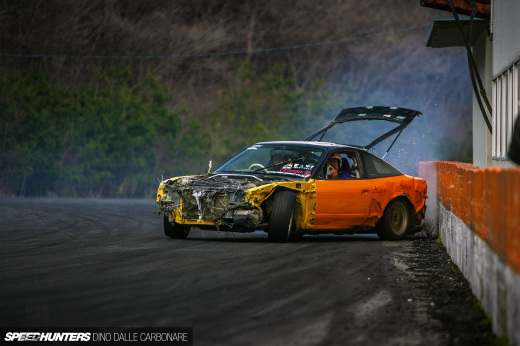 …and the tire marks the Silvia left behind on the side of the Mark II on the final run of the day. 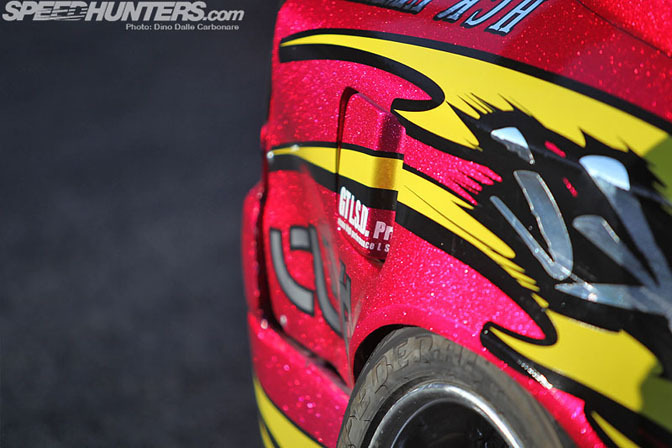 You can check out Andy’s road to the final by clicking here for a video that the rest of the Powervehicles crew took. 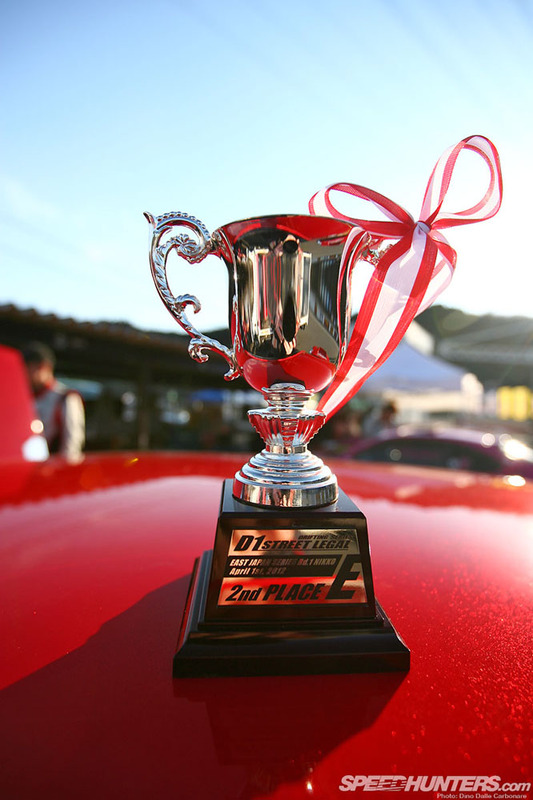 That’s it for D1 until next week’s GP Round in Odaiba; until then you have Formula D in Long Beach to keep your thirst for sideways action quenched!